Each time the season changes, I get antsy to add some pieces to my wardrobe, and this fall is certainly no exception. But in addition to lusting after new jeans, boots, and scarves, I also want to beef up my Pure Barre wardrobe with some fun, fall-friendly new items. 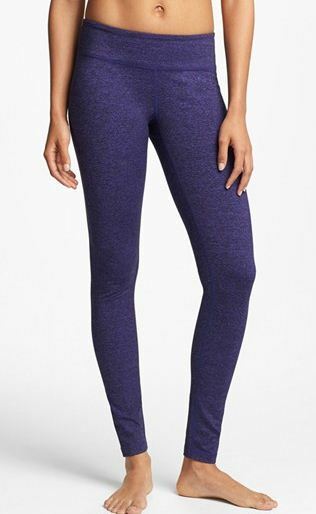 Any workout clothes you’ve been eyeing this season? Please share! I love your PB picks! I need to check out the Zella line at Nordstrom. I love Lulu Lemon for pants but a lot of the tops are comfortable/long enough for my long torso, so I’m really glad you shared these! I also found you on bloglovin’ and started following on there! So cute! We just received our first shipment of Beyond Yoga…more is on the way. If you like the Tendu Grip in violet, we can order you some when we place our next shipment–which will be soon. Because working out is much better when you have cute clothes! Hi Anna! I came across your blog a few weeks ago googling Pure Barre (which I love!) Just thought I’d let you know that it looks like the Beyond Yoga dolman is on Gilt Group today if you haven’t already picked it up. My studio sold out of my size quickly, so I was glad to find it. And on sale at that!